We exist for two reasons. First, to provide visual effect for the marching band. Second, to support the University of South Carolina football team. The USC Colorguard is a group that performs alongside the marching band. We perform flag and pom routines during halftime at football games. We also perform during the pregame show. The guard performs at all home games and also certain away games. For 2011, the guard will be traveling to Georgia, Tennessee, and Eastern Carolina Universitie at the end of the season. As a part of the band, the guard also goes to any bowl games at the end of the football season. 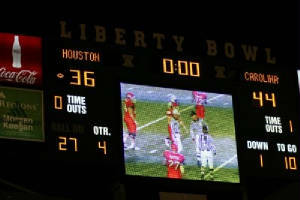 The final score at the Liberty Bowl 2006. 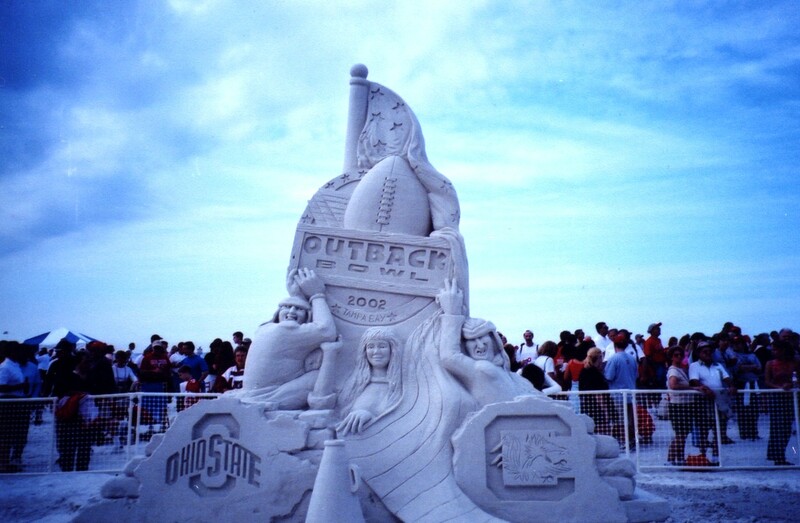 The sand sculpture sign for the 2002 Outback Bowl in Tampa.